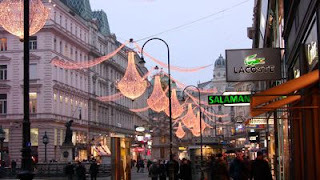 We are winding down the trip with just one full day before flying out of Vienna in the morning. Klaus is clearly not going to let up on us as the day starts with a full walking tour of the Loisium for those can get up and make it, followed by a tasting in the hotel with a brand new rising star, Paul D., and then a bus ride to Vienna to meet the Austrian Wine Board, and finally meet and taste with the Strauss family. All this of course before we go to dinner. 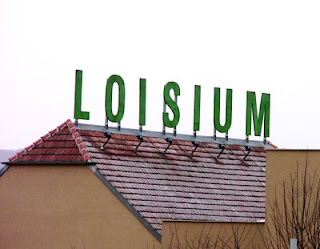 A small group of maybe six, actually makes it to the entrance of the Loisium museum in time to take the tour. The idea is that we are all grapes and were just harvested, now we will go through the process of fermentation. This was very “Disney” like with real looking electrical panels, consoles, a water show, video screens etc. After we find our way to the tanks and barrels, the tour then becomes a visit to the history of Austrian wine with re-created wineries, and a typical village house. Everything is so real it’s like stepping back in time. This museum is definitely worth visiting. Seeing the old tools, the techniques and such is fascinating. The tour is about 75 minutes. At the hotel we all assemble to meet and taste the wines of Paul D. Paul is not old enough to legally drink wine in the US. We are truly seeing a rising star. He finished agriculture school and under the tutelage of Anton Bauer, Paul is making wine on the family farm. We are presented one liter bottles of Zweigelt and Gruner Veltliner with crown caps (beer caps). The wines are excellent and I personally love the crown cap because it is actually better than even a screw cap, but clearly I am in the minority as Paul apologizes for the crown caps and our wines will come with screw tops. 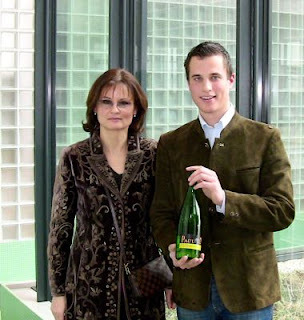 (I did ask Klaus if he could send all the Wine Authorities bottles with the crown cap and got that look of “this guy is crazy, who invited him.”) Paul is actually presenting the wines with his mom. It’s sort of a funny thing because it reminds me of “bring your parent to work day.” They are both very kind to pose with their bottles so we will have their pictures up next to the one liters when they arrive. 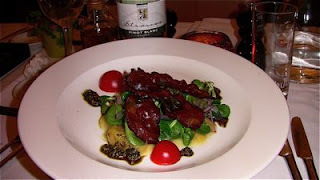 Winemakers like Paul are very much a part of the Wine Authorities philosophy. I expect nothing but better and better wines from Paul as we get to know each other and help to introduce a young winemaker with a bright future to the United States. Now Paul, keep your prices reasonable and don’t let the fame go to your head! The bus ride to Vienna is a chance to grab some sleep for most of the bus. Staring out the window, I see frozen parts of the Danau river. Amazing to see huge ice chunks floating; a reminder of how cold it remains. In the city we get about 30 minutes to walk to our next stop and take some photos, see some history. Fortunately 30 minutes is plenty of time in a city like Vienna with very little history. For example, Klaus points out a building that was a prison and tells the story of the architect committing suicide after it was built because they forgot to add bathrooms. Not sure if it’s true, but a good story. 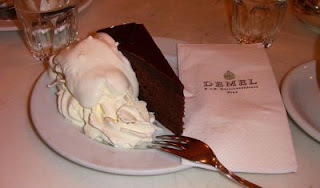 We have time for a quick co ffee and I insist on have authentic Sacher Torte in Vienna. Klaus recommends ordering it 'mit schlag' or with a pile of whipped cream; a very nice pick me up. We arrive at a wine bar and head to the basement where the Austria Winemarketing Board, presents “Wine from Austria, A taste of Culture.” We are treated to a powerpoint presentation/sales pitch of Austria’s growth in the wine market, and maybe a last kicker just in case we weren’t sure if we would sell Austrian wine back home. Currently Austria is working on promoting their individual wine regions, working to set wine laws specific to each region, using peer panels to taste wines for approval, and finally trying to build regional varietal identity. They make the comparison that Marlborough, New Zealand is now synonymous with Sauvignon Blanc and they want folks to think of Gruner Veltliner when you mention Kamptal, Austria. They are well on their way, at least in our store. Gustav Strauss waits patiently and as the AWB finishes their presentation we are ready for his wines from Steiermark (Styria) located southeast in Austria. Positioned in the foothills of the Alps, they see cold nights and very hot days. Many of our customers are probably familiar with Strauss’ Sämling 88, aka Scheurebe, grape. We have sold a lot of this wine. There are only 20 vintners in Gustav’s area and the steep hillsides equates with all hands-on manual labor. Gustav tells us the people in his town have one leg shorter than the other to help them stand on the hills. I tried to watch his gate to see an obvious limp, but didn’t see it. Maybe he has a lift in one shoe. This region is making a name for its Sauvignon Blanc and Muskateller varietals. All of his wines are excellent and I am very excited about the 2008s coming to the store. Klaus then takes the group on a walk and “illegal” train trolley ride getting lost in Vienna to find our dinner restaurant. It’s our last meal together and the troops definitely look worn. The smiles at the table are many, but the conversation is a bit more quiet than usual. I don’t think we have the energy to muster much talk and those awful thoughts of getting back to work are creeping into our reality. Thank you Klaus and company for a most memorable and perfect trip to Austria. As it was my first time there, I have nothing to compare it to, but I can’t imagine a more passionate, quality driven, fun and educational trip than this one. Before boarding the plane, I made sure Klaus promised to take Craig next January. Craig, be sure your passport is ready to go, and bring your long underwear. 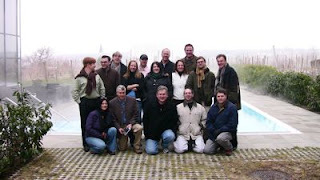 Klaus will be at Wine Authorities on Thursday, April 30th for a special Austrian Wine seminar. Details on our website calendar.